Newbie to Sydney, ex-PR consultant, I enjoy my music a good cup of coffee a sunny day and love my books. Anytime is beer time in Sydney. So if you love your beer and are in CBD here are a few places that are a must try for all beer or bier lovers. One of Australia's most awarded breweries; Redoak houses some of the best beers and ciders that are freshly brewed with no added preservatives. The place is constantly buzzing with happy Sydneysider's throughout most of the week. You will be spoilt for choices when it comes to deciding what you want first. The choices range from pale ales, stouts, Belgian chocolate stout and also Redoak specialty beers. Top you beer with some Redoak chips served with apple cider and seeded mustard mayonnaise or some pizza from the bar menu if you are looking for something to munch on while having a good time. And in case you want to learn how to learn more about what goes into your beer you could try the beer appreciation workshops. A slice of Ireland is what you are looking for then look no further. Head to P.J.O'Brien's located in Grace Hotel complex on the corner of King and Clarence Street. They go by the motto 'anytime is Guinness time' along with some beef and Guinness pie. The décor is wonderfully inviting, lovely music, good food and beer makes this a nice place to unwind and have some fun. The place has beers like Guinness and Kilkenny the traditional Irish fare to red, white and sparkling wines. It doesn't stop there, the food menu is extensive with Irish soda bread, stews and also Kilkenny beer batter fish fillets for the hungry stomach. They also host some amazing events for more information click here. This is yet another gem in the middle of CBD. 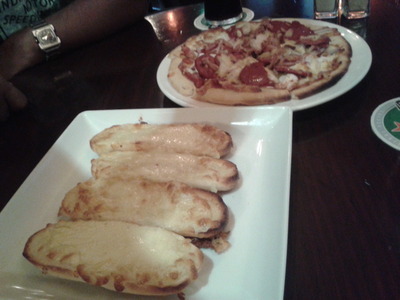 The Bavarian Bier Cafe has on offer food and drinks that incorporates the Bavarian culture to the hilt. The cafe has some refreshing beers and also runs regular events which keep the place lively. You can also try some of the Home specials from the food menu such as Münchner Brauhaus platter, mixed char-grilled sausages or the Bavarian tasting platter. What's more; a designated driver in a group of 5 is given to as many alcohol-free Lowenbrau pure biers free of charge. All you have to do is mention this while orders are being taken. These are a few of the interesting beer joints I have found around CBD. Do let us know if there are more must-try's around CBD.